Precise India Is A Pioneer Motor Control Center MCC PANEL Manufacturer & Supplier Based In Ahmedabad, Gujarat. The Principal Function Of MCC Panel Is To Regulate The Start & Stop Function Of Given Electrical Motor. Besides, MCC Panel Safeguard Electrical Motor From A Substantive Damaged Caused Due To Overload. Precise India Is Also Renowned Manufacture And Supplier In Providing The Customized Variant Of The MCC Panel According To The Customer Specification & Requirement. 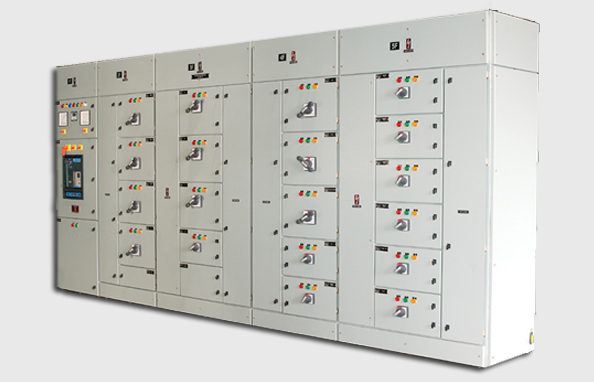 Precise India’s Designed MCC Panel Are Widely Used In The Various State Of The Art Industries Like Water Pumps, Processing Units ,Heavy Machinery, Industrial Equipment, Automotive Industry, Medical & Office Equipment, Electronics And Telecommunications. Our MCC Panel Architecture Is Designed As Per The Latest Applicable Electrical Engineering Standards To Suit Various Industrial Needs. The Basic Architecture Of MCC Panel Consists Of Feeders For Motors And Blowers. Feeders Are Designed Rendering To The Electrical Motor Rating. In Most Of The MCC Panel, We Offer Provision Of Both Auto & Manual Mode. With Manual Provision Motors Can Be Operated Manually. In Auto Provision, External Signal (like Sensor Feedback) Is Required To Start The Motor. The Signal Is Given By Control Panel. Indicators For The Motor Operation Also Will Be Present In Control Panel. In Addition, There Is Also A Provision In Our MCC Panel To Operate It From Local, Remote Or DCS As Per Need. Considering The Various Applicable Safety Standard, Common Protection Are Inbuilt In Our MCC Panel , Which Guarantee The Safety Against The Over Load, Short Circuit, Single Phasing. We Do Provide The Add On Feature Like Earth Fault, Reverser Power, Under Load, Over & Under Voltage Upon The Request. We Also Manufacture The Intelligent MCC Panel Which Can Communicate With PLC (Programmable Logic Controller), SCADA Systems.